I get tired of eating the same baked potatoes, french fries, and mashed potatoes with every meal. Sometimes I'm looking for something a little different. 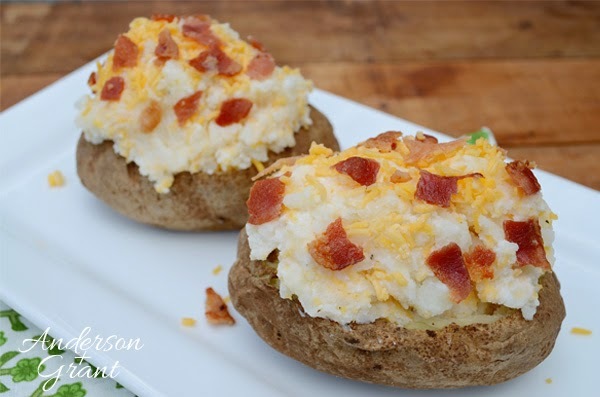 These Cheddar Stuffed Potatoes (or Twice Baked Potatoes) aren't much more work than a traditional baked potato, but the taste is AMAZING! 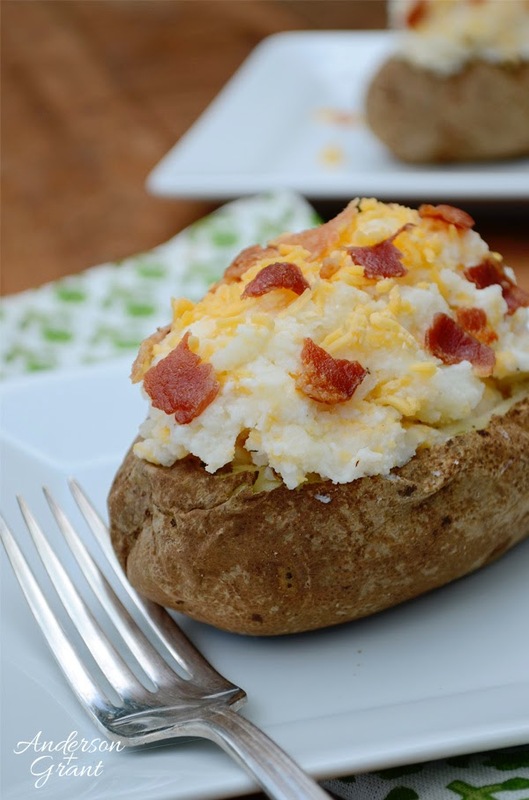 Plus, you can easily change the flavor by substituting a different cheese or using alternate spices. Because I don't use ricotta cheese often, I like to make these potatoes whenever I make lasagna rolls because it uses up the leftover ricotta. I hate buying containers of ingredients for a recipe and then throwing half of the container away! Another bonus with this recipe is that you can prepare them the day before so that all you need to do for supper is heat them in the oven for about 20 minutes at 350 degrees. 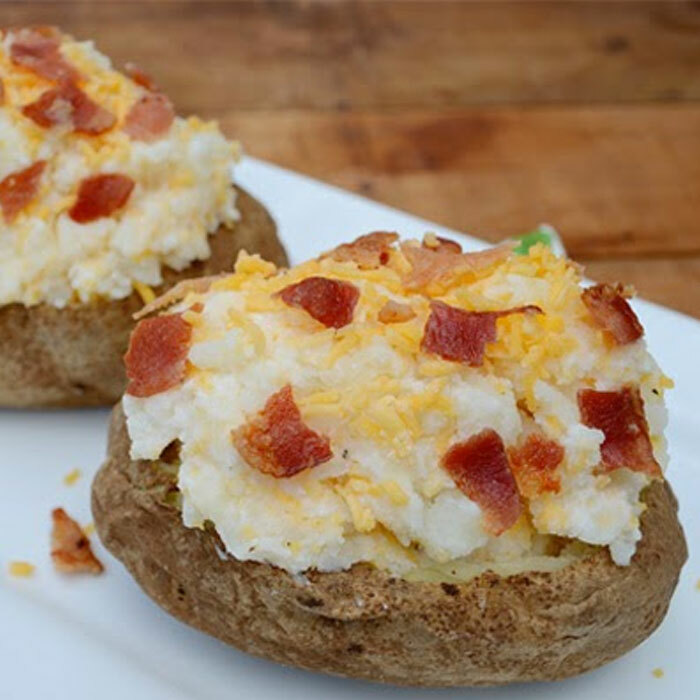 While you ideally should bake the potatoes the first time in the oven, you can speed the process up by baking the potatoes in the microwave for about eight minutes. Whether you do the baking in the oven or microwave, they need to be soft, but not cooked so long that the outside skin begins to shrivel. Bake the potatoes at 400 degrees for one hour. They need to be soft, but not cooked so long that the outside skin begins to shrivel. Remove the potatoes from the oven and allow them to cool slightly. When the potatoes are cool enough to hold, slice the top portion of the potato off the top. Scoop the insides out into a bowl and mash with a fork. 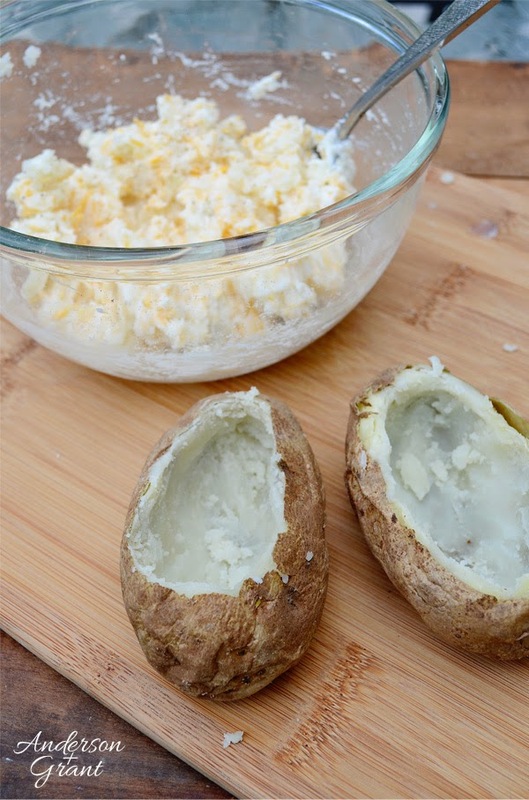 Combine the potato with the salt, pepper, garlic powder, ricotta cheese, and shredded cheese. Spoon the mixture back into the potato skins. Top with a little extra cheese and some bacon bits if you'd like. 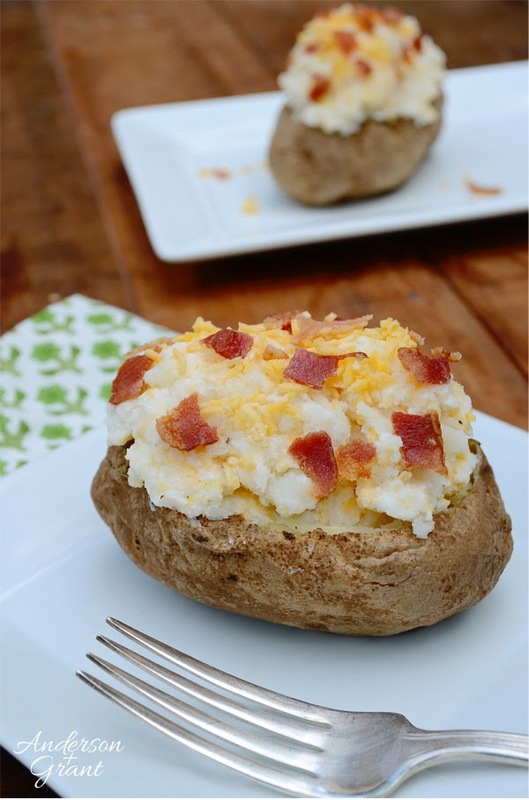 Place the potatoes back into a 350 degree oven for 15 minutes to warm them and melt the cheese. Serve immediately. 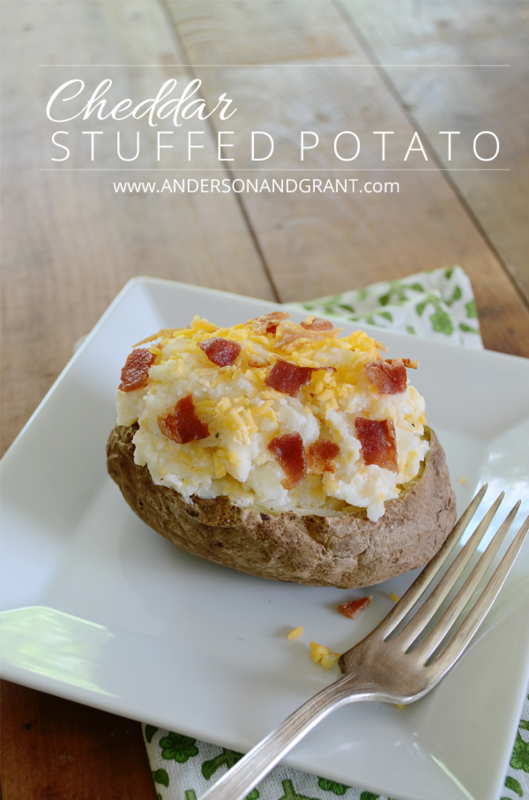 While this recipe is for four potatoes, you can easily adapt it to make one or two if that is all you need. You can also cut each potato in half, rather than cutting just the top off, to make a smaller portion....Then you can fill each half with the potato mixture. Don't these sound delicious? They are a perfect addition to any meal and you can feel good knowing that you put just a little extra effort into preparing a fabulous dinner! Enjoy!